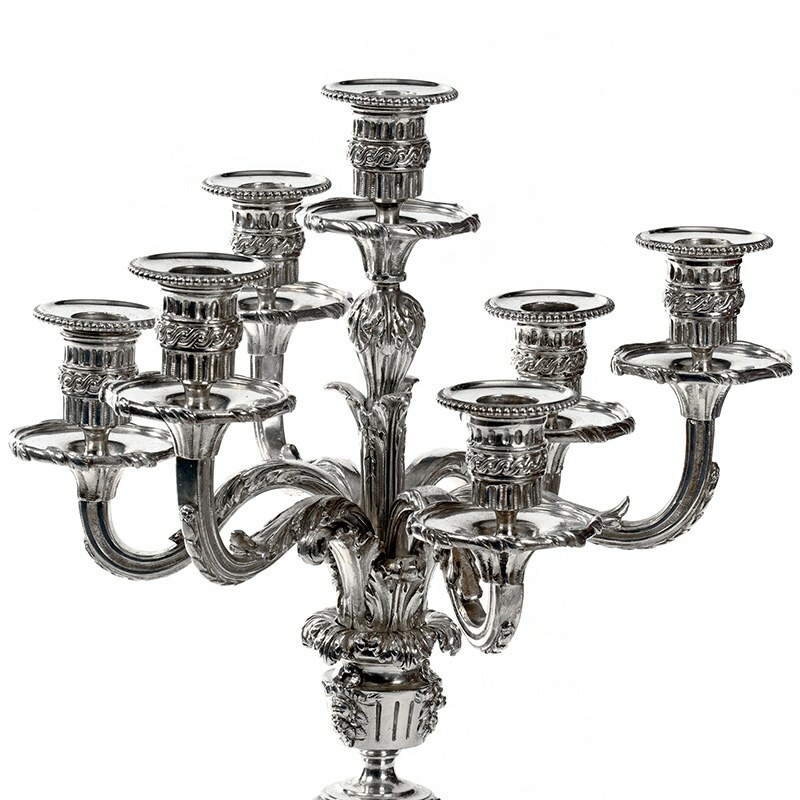 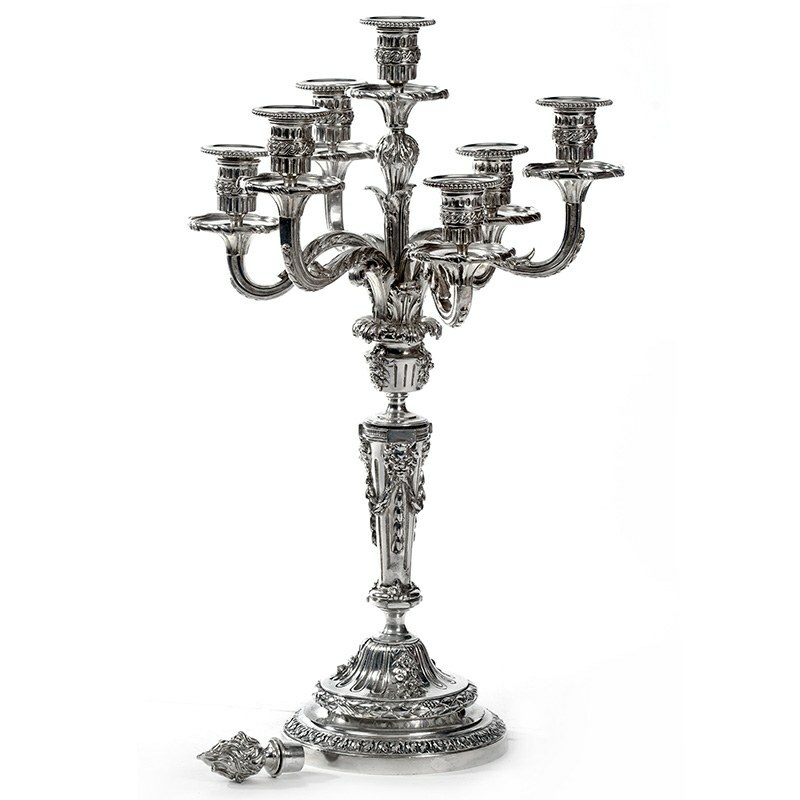 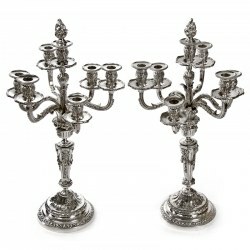 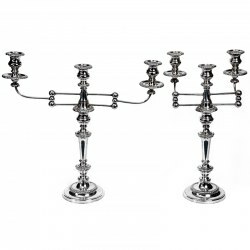 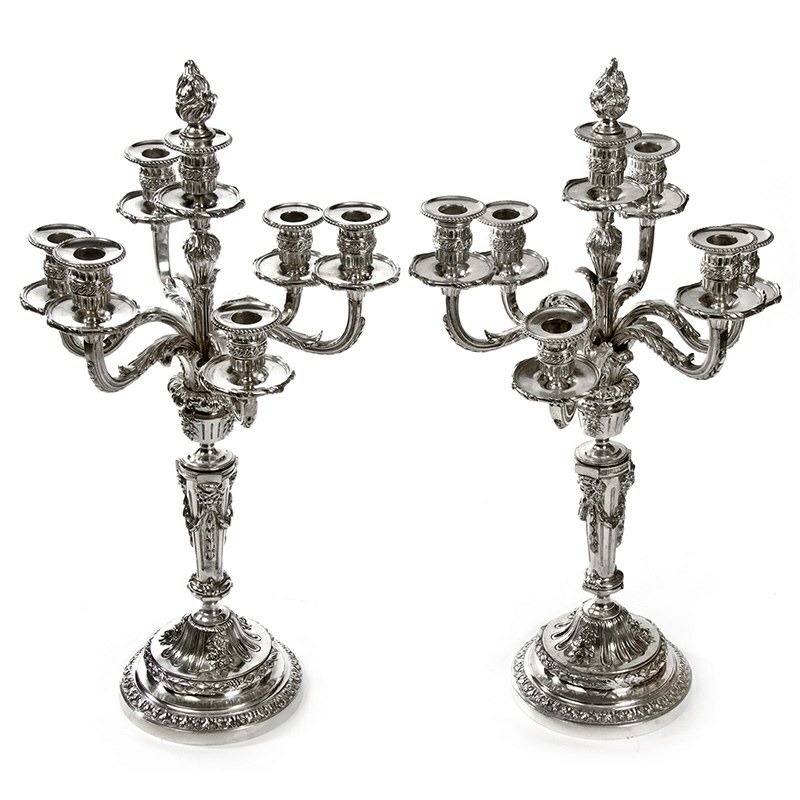 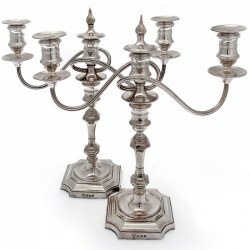 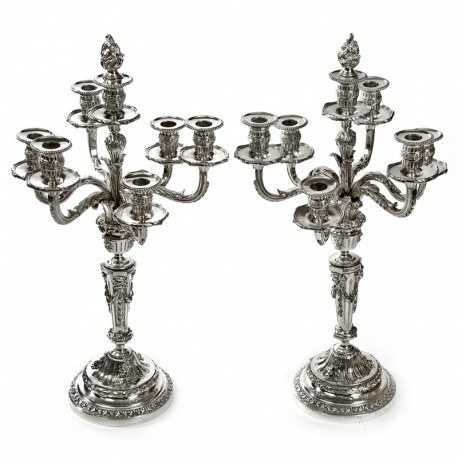 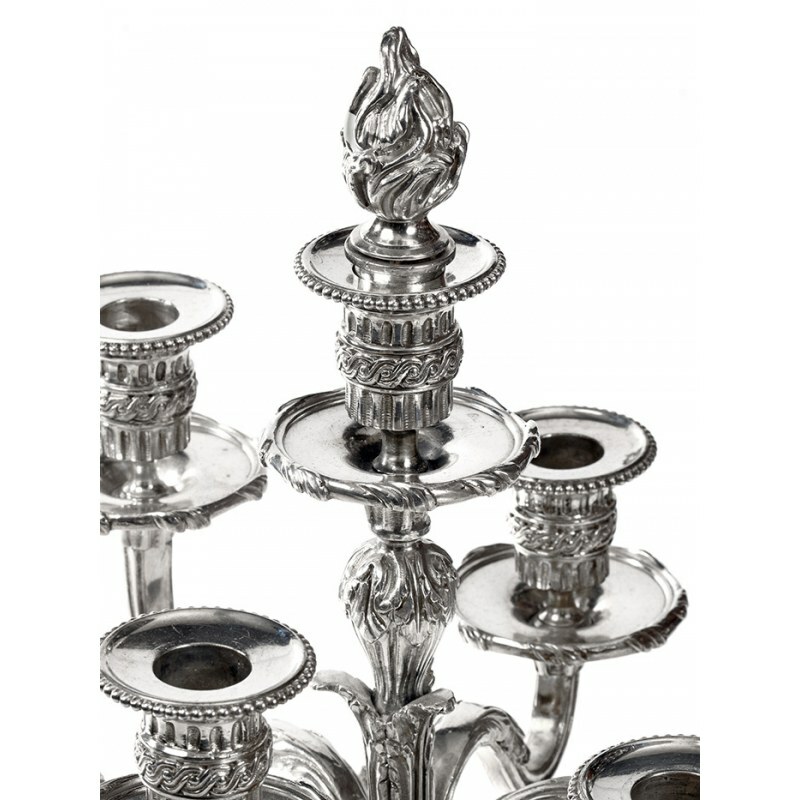 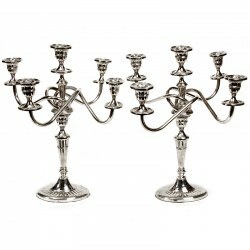 An exceptional pair of late Victorian cast silver plate French seven light candelabra. 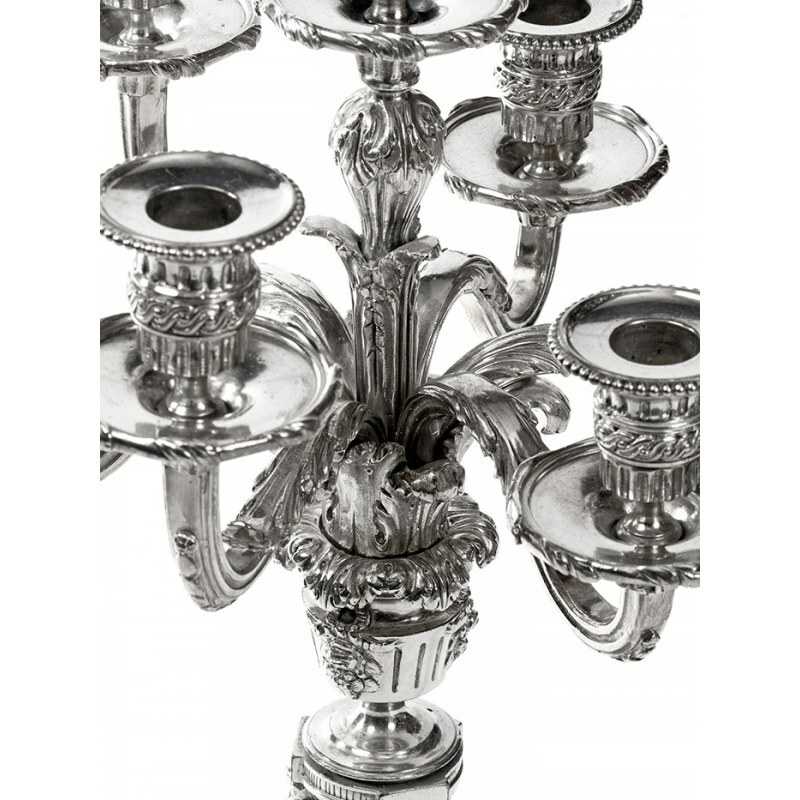 These very good quality cast candelabra have six looped Acanthus leaf arms and a central stem with a detachable flame finial. 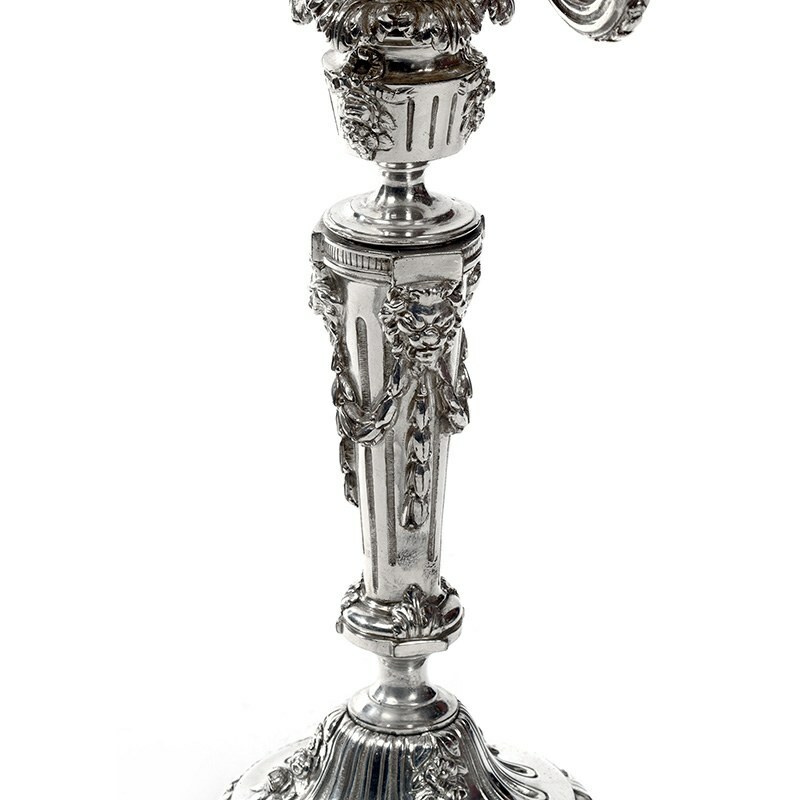 The stem is decorated with garlands, flowers and lion masks. 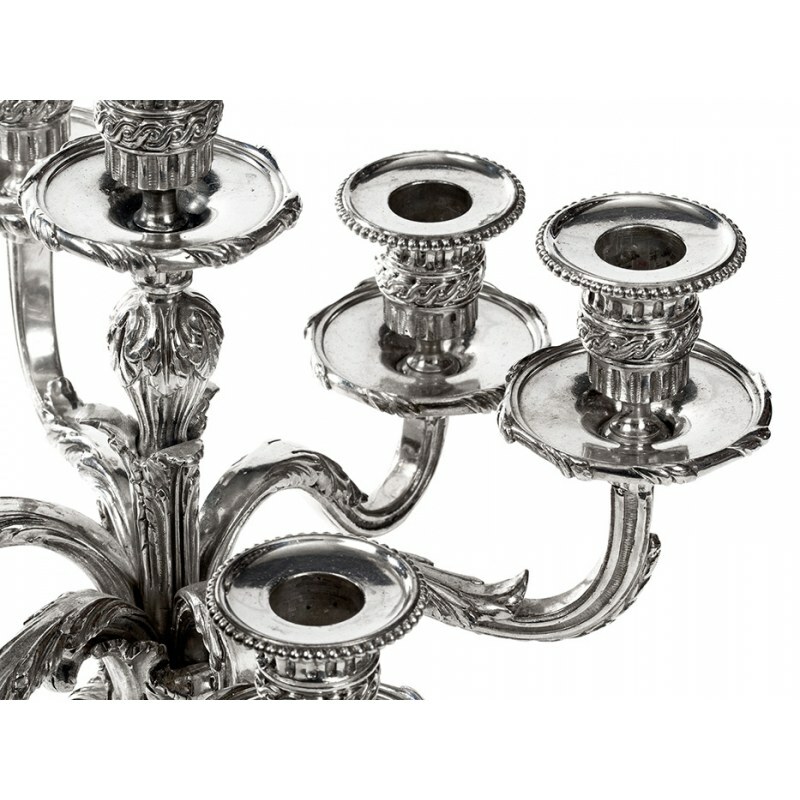 The cast circular base has fluting design, flowers and finished with an Acanthus leaf border. 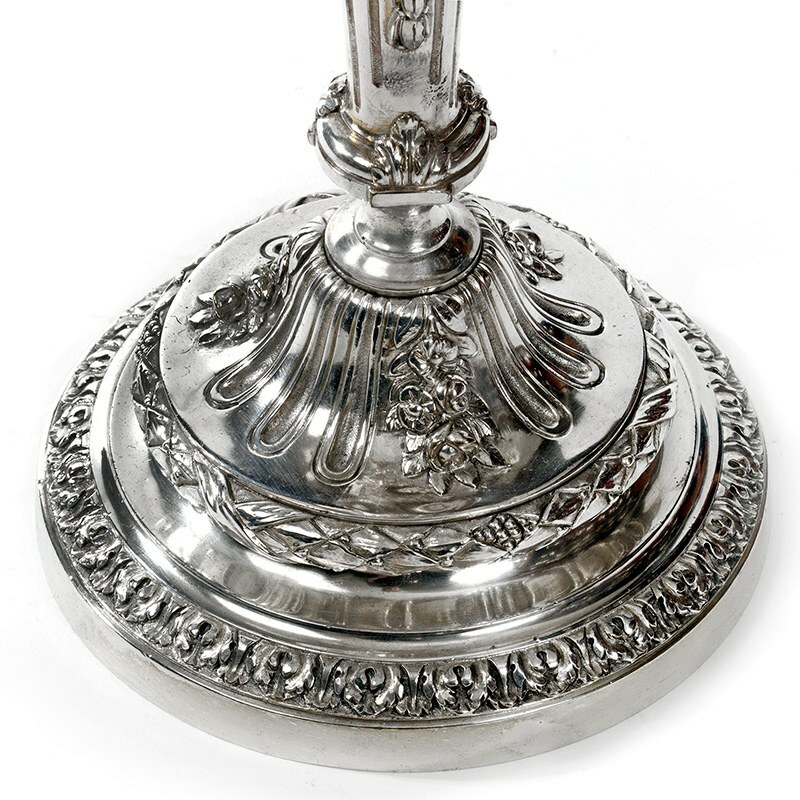 In very good re-plated condition.